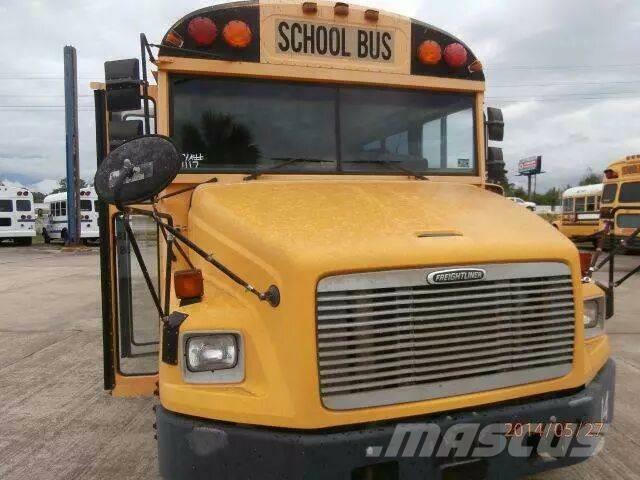 Additional Information ###FRESH WHITE PAINT JOB### 2001 FREIGHTLINER BUS 5 /4 WITH A WHEEL CHAIR LIFT, FRONT AND REAR AIR CONDITIONING , AIR BRAKES, 5.9 CUMMINS TURBO DIESEL engine and an AUTOMATIC TRANSMISSION This vehicle is in good running condition. Overall, this vehicles exterior is clean. Previous owner did not have a garage. The inside of this vehicle is smoke-free. The interior of this automobile is clean. The mileage represented on this vehicle is the actual current mileage. The transmission in this vehicle still shifts smoothly. There are no signs of prior damage on this vehicle. This vehicle has only been owned and titled to one person.